George Walton was born in 1741 in the small town of Farmville in Frederick County, Virginia, to a poor family. His parents died when he was a child and he was adopted by an uncle. George attended the common schools but received no classical or higher education because his uncle didn't value it and even thought studying books was wasting time and being idle. George apprenticed with his uncle as a carpenter and began to study borrowed law books late at night because his uncle wouldn't let him study during the day. He didn't want George studying at night either and wouldn't even give him a candle to read by, but George's zeal to learn was too great and he would gather scraps of wood and wood shavings which he burned at night to see by. When George's apprenticeship was completed he moved to Savannah, Georgia in 1769, where he continued to study law in the offices of Henry Young. In 1774 he was admitted to the Georgia bar and began his practice in Savannah. George Walton became heavily involved with the patriot movement in Georgia during this year. He was present at an historic meeting that took place at Tondee's Tavern in Savannah around the liberty pole. The people present discussed various methods of preserving their constitutional rights from the encroachments of Great Britain's parliament. Mr. Walton held a prominent role in this meeting. Those present organized Georgia's first Committee of Correspondence in order to pass news quickly around the state between patriots and to correspond with patriotic individuals in other colonies as well. The group at Tondee's Tavern also called for a provincial congress of delegates from each parish in Georgia to address how to protect their eroding civil liberties. Mr. Walton was appointed to the committee that created the Committee of Correspondence that sent invitations to other parishes regarding the upcoming congress. The royal governor and his council strongly derided the activities of this congress and when they met again on January 12, 1775, the congress was still sufficiently weak as to choose to send a letter asking for a redress of grievances to the British monarch, instead of taking the stronger advice of those advocating separation from Britain. Mr. Walton openly urged independence. The Georgia congress was the only colonial legislature at this point that had still not sent a representative to the Continental Congress in Philadelphia. Mr. Walton not only attended this congress, but was appointed its Secretary and was made a member of the Committee of Safety to run the provincial government's affairs when the congress was not sitting and soon became the president of this committee. This made him essentially the governor of the provincial legislature. The January provincial congress also placed Mr. Walton on the committee that wrote the petition to the King of England. The petition, of course, was disregarded. The continual abuse of colonial rights by the King and Parliament caused the Georgia Provincial Congress to finally join the other colonies in their efforts in July 1775, at which time five delegates were elected to attend the Continental Congress in Philadelphia. These men were Lyman Hall, Archibald Bulloch, John Houston, John Zubly and Noble Jones. After Zubly turned out to be a loyalist, George Walton was elected to take his place in 1776. Click here to read the text of the actual letter explaining their instructions given to George Walton and the other Georgia delegates by Georgia's Council of Safety. Mr. Walton voted for independence from Britain on July 2 and voted for the Declaration of Independence on July 4. Mr. Walton was the only signer from the southern colonies who was not a plantation owning aristocrat. 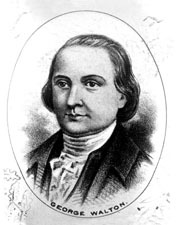 That fall, when Philadelphia was evacuated by the Congress, Mr. Walton stayed on in the city as part of a committee with fellow signers of the declaration Robert Morris and George Clymer. They were charged with procuring food, clothing and supplies for the Continental army in New Jersey nearby. He did so at great risk to himself due to the many loyalists who were active in the town. George Walton is captured by the British! Mr. Walton was reelected to Congress in 1777 and served there through the end of 1778. In December of that year he was appointed colonel of the First Regiment of the Georgia Militia by the Georgia legislature, in the battalion of General Robert Howe. The British invaded Georgia during this same month and laid siege to Savannah. A slave showed the British, led by Colonel Campbell, a path around the city and they were able to attack from two sides. During the defense of the city, George Walton was shot severely in the thigh and tumbled from his horse. Mr. Walton was taken captive by the British when the city surrendered. Mr. Walton was transported to the British prisoner camps in Florida. The British demanded the exchange of a captured Brigadier General in return for Mr. Walton, but this was refused. Finally, in September 1779, after 9 months in captivity, Mr. Walton was exchanged in return for a British naval captain. The following month, October 1779, Mr. Walton was elected governor of Georgia, a position he held for only two months. In January 1780, Mr. Walton was again appointed to attend Congress. He did not serve the full term this time because he was elected Governor of Georgia in 1781. He served a full term in that position through 1783. Mr. Walton was a political foe of his fellow Georgian and signer of the Declaration of Independence, Button Gwinnett. He was also an ally of General Lachlan McIntosh, Mr. Gwinnett's political enemy. As such, Mr. Walton was constantly involved in a party battle for control of his state that led to his dismissal from office on several occasions and various criminal indictments. Mr. Gwinnett died from wounds he received in a duel with Gen. McIntosh in 1777, in which Mr. Walton assisted the General. For his part in the duel, Congress formally censured Mr. Walton in 1783. During the same year, Mr. Walton was appointed as one of several commissioners of the United States to negotiate a treaty with the Cherokee Indians in Tennessee. Mr. Walton was also appointed the Chief Justice of Georgia in that year, a position he held until 1788. Mr. Walton was also accused by General McIntosh of participating in the creation of a forged letter in 1778 that requested the president of congress to remove the General from his position. The Georgia legislature considered this matter in January 1783 and censured Mr. Walton and recommended that the attorney general institute proceedings against him. He was censured the day after being appointed Chief Justice by the same body of legislators. From 1784-85, Mr. Walton was a member of the Augusta, Georgia Board of Commissioners. He also represented Georgia in a commission to settle the boundary between Georgia and South Carolina in 1786. In 1787, Mr. Walton was elected to attend the Constitutional Convention in Philadelphia, but he declined this position. 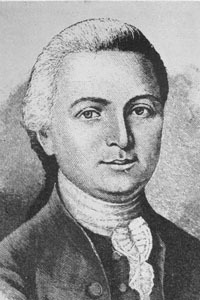 In 1788, he was appointed to the college of electors and was elected Governor of Georgia again. In November of that year, Mr. Walton stepped down from that position because the new constitution of the State of Georgia took effect during that month. He was immediately appointed a superior court judge for the eastern federal judicial district, a position he held until 1798. In 1795, Mr. Walton was appointed to fill a vacant U.S. Senate seat due to the resignation of Sen. James Jackson. He served in this position from November 16, 1795 to February 20, 1796, at which time he was not reelected. Mr. Walton returned to Augusta, Georgia, where he took up farming. He became a trustee of Richmond Academy and the University of Georgia. 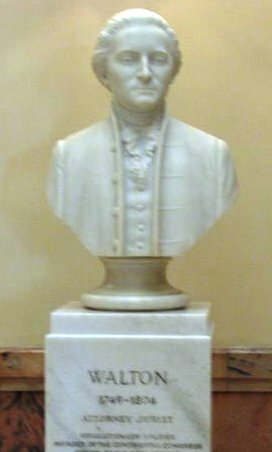 In 1799 he was again appointed a judge of the superior circuit of Georgia, which position he held until his death in 1804. Mr. Walton suffered severely from the gout in the later years of his life. He died at the age of 64 at his home near Augusta on February 2, 1804, where he was buried in Rosney Cemetery. You can still visit Mr. Walton's home today. It goes by the name of "Meadow Garden" and is owned and maintained by the Georgia State Society Daughters of the American Revolution. George Washington visited Mr. Walton here in 1791. 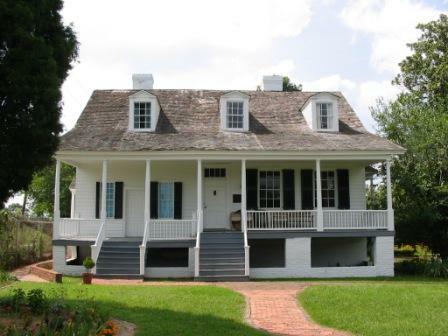 The Marquis de Lafayette also visited the Walton family here during his 1825 tour of the United States. His body was reinterred with that of fellow Declaration of Independence signer Lyman Hall in 1848 under the monument on Greene St. in Augusta in front of the courthouse. Walton County, east of Atlanta, is named after George Walton, as are George Walton Comprehensive High School in Marietta, Georgia, and George Walton Academy in Monroe, Georgia, which is the county seat of Walton County. His son, George, later became the Secretary of State for West Florida during the administration of President Andrew Jackson. Test your knowledge with the George Walton crossword puzzle here. All of the answers can be found in the biography above.